But when customers move through their relationship with a brand, their focus changes. They constantly go through a changing state-of-mind, depending on a lot of different factors. As marketers, we try to understand what buying journey they go through, so we can better serve them along their journey. Good marketers help customers through this buying journey. This buying journey seems easy, and let’s be honest, it can hardly be called rocket science. In almost all cases I’ve seen, they contain phases like awareness, conversion, retention, or creating customer advocacy. Content marketers guide customers through these cycles using appropriate content in every step of these journeys, and link them together with call-to-actions, lead nurturing tracks and conversion tactics. But this sometimes this classic customer life-cycle model doesn’t fit the complex business you are in… What you need is better view on the customer environment and his/her situation. The classic view on the buying journey is too simple in certain situations, especially when you are dealing with products that fit in multiple markets. It is also to simple when you are dealing with multiple decision makers. What is needed is a much more customer centric view of the customer. Customers don’t think: ah, now I am aware of my problem, and now I am choosing, and now I am buying. Instead, they naturally and organically jump around through these phases, jumping from being aware, to considering, to being aware again, to almost buying, to doubting, and reconsidering again, and so on. 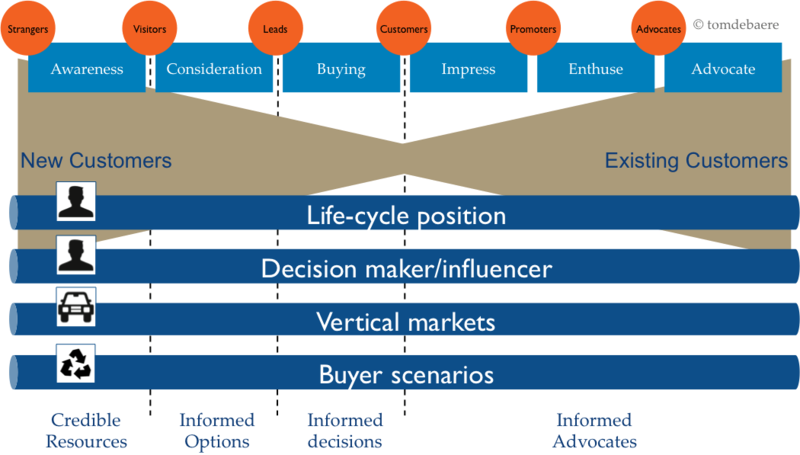 the position of the buyer in the buying journey, like choosing or buying (as discussed earlier). but someone can have with a certain role in the buying process, and multiple people can be involved in the decisions making process. they can be part of a horizontal or vertical market, with very specific needs, interested in only very specific information relevant for their market. someone can be faced with specific buyer scenario’s, like product replacement or product cyclicality, or new paradigm shifts that make him look for a solution. In consumer businesses this could be the coming of a new child, marriage or divorce, or moving to a new house. To illustrate with an example: a CTO of a company (role in the buying process) in the pharmaceutical industry (vertical market) can be aware (buying cycle position) that I need to replace my installed based due to more an better technology (buyer scenario). Do you still create buyer persona’s for everyone ? Often this complexity creates way too much buyer persona’s to handle. Do you create content for each market, or do you create it more generic with the chance of not connecting with your customer? Do your create content for each of the specific buyer scenario’s? Buyer scenario’s or purchase scenario’s, in this case for B2B. In B2C that could be replacement, renewal, upgrade, entirely new or even birth, move, marriage, new child, retirement or dying. The number of people in the DMU (3) x number of markets (5) x buyer scenario’s (3)= 45! That’s 45 different combinations you need to manage. That’s way too complex for me to handle, and if may take a wild guess, it might be also too much for you. 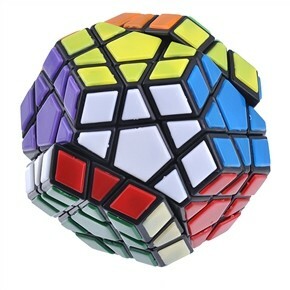 So how do you solve this complexity ? A possible solution is to look at common pains, objectives or priorities that are found in each market. Then figure out who within the buying decision making unit would be your ideal “entry point”: the person with the highest pain probability, and the person with a responsibility level related to the company result. Or in B2C, figure out who is calling the shots, the person most involved with the buying process. You can now probably narrow down the DMU to 1 or 2 people. These people are going to form the basis for your buyer persona’s or buyer insight maps. Develop them with your eyes on the common pains, and not on the specific vertical market they are in, or their specific buyer scenario’s. Once you have these buyer insights, you can start brainstorming content topics. Later on, when you are developing content, it’s easy to add the market angle or specific buyer scenario details. Basically what we are doing here is simplifying the segmentation. Add the market or buyer scenario’s context. Hopefully this view on the complex customer life-cycle model inspires you. Let me know if you have questions. I would love to hear your comments, and if you want, feel free to subscribe to my blog to stay tuned of new updates via email. 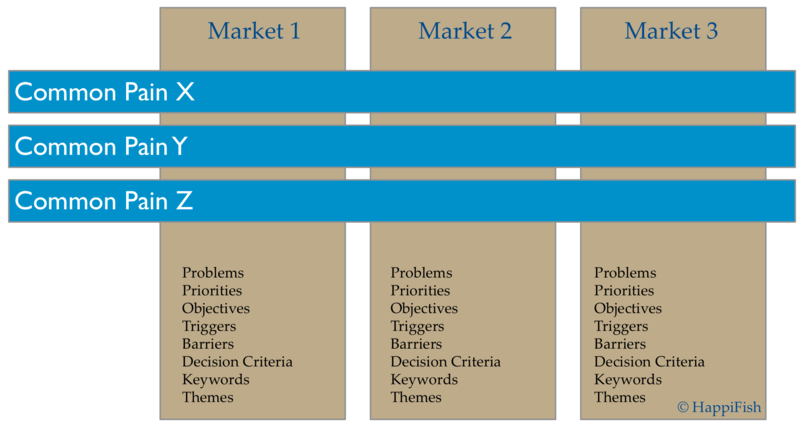 How to Unlock Content Marketing in Complex Markets? Yes, inspiring! Thanks a lot. glad you liked it. Take care!